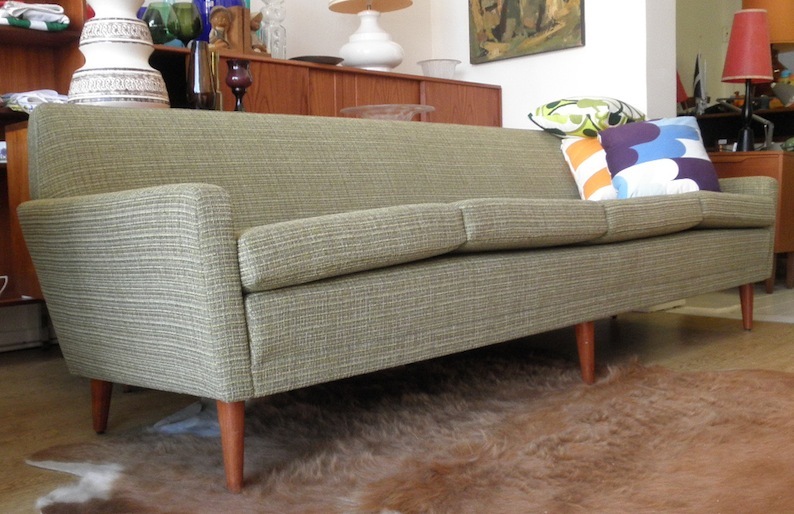 Huge comfortable 4 seat sofa by Dux of Sweden designed by Folke Ohlsson circa 1960s. 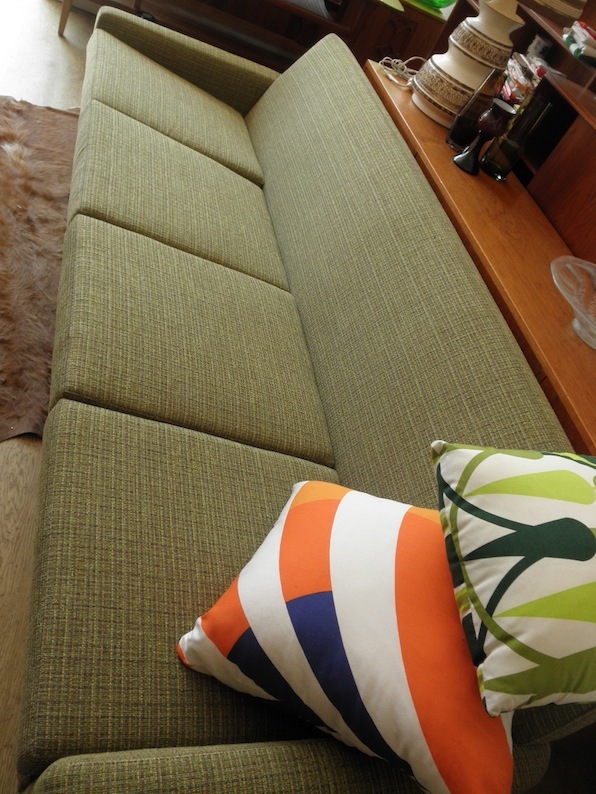 We have had this stunning couch fully reupholstered in new green woven Warwick fabric which is very similar to the textured wools of the period. 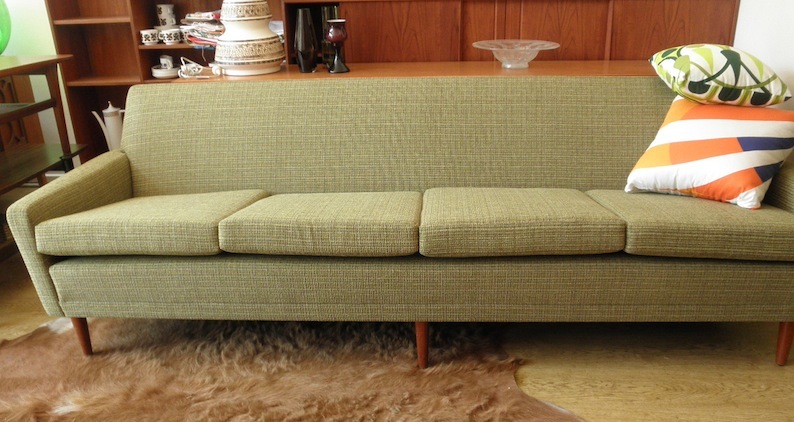 The new cushions sit on top of a rigid metal frame and teak legs, these vintage Dux couches are renowned for their heirloom quality construction. This is one to hand down to the grand kids and is an absolute bargain.